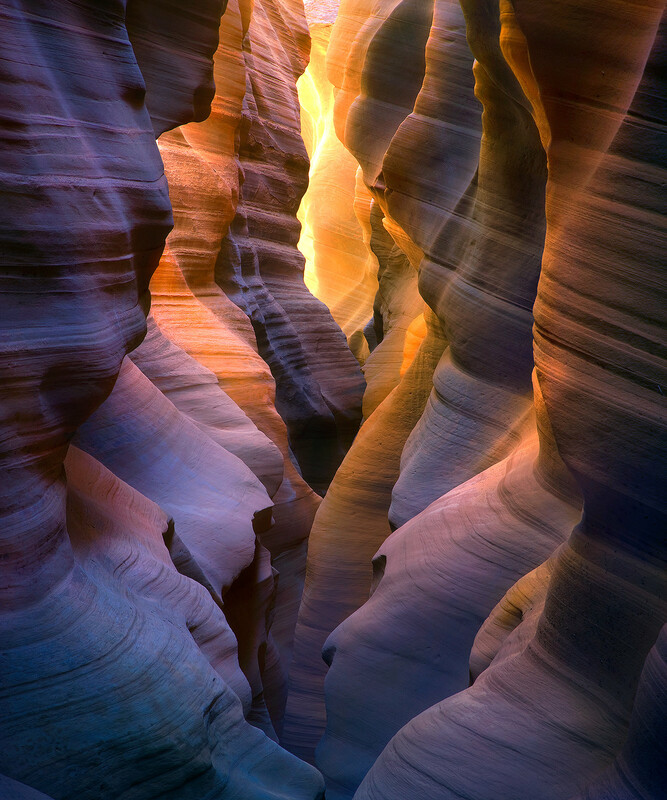 Colorful reflected light in a remote slot canyon environment. The various rich colors and hues present here are the result of how the eye, and the camera even more so, record reflections of direct light onto the already colorful sandstone. Photo © copyright by Marc Adamus.